The first few things I notice when I walk into a house is A) the amount of lighting the interior receives and 2) the window treatments. 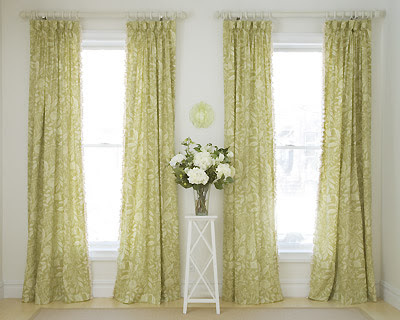 Cheap curtains drive me bananas (not in a good-Rachel Zoe-bananas-way). I dislike cheap, flimsy curtain rods even more, but that is another must-read post for a later date. If the curtains are too short I just think they look like they got shrunk, which is not a good look on people nor on drapes. I once read an article in Elle Decor a few years back about appropriate curtain lengths and the one quote that struck a chord with me and I have not forgotten was, "It is embarrassing for any drape to hang more than 1/2 an inch above the floor." That comment makes me laugh, because, yes, it does sound completely snooty, but it's so true! This is the worst!! Hideous! 1) Homeowner doesn't know any better and did all the decorating on his/her own. 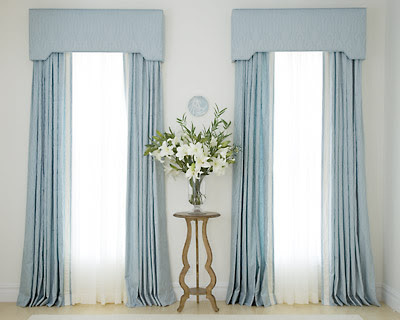 2) Homeowner doesn't know how or did not measure correctly, which can royally screw up anything being custom made or if purchasing pre-made curtains. 3) Homeowner tried to "save" money by skimping on ordering the right amount of fabric or ordering the appropriate length (if pre-made). 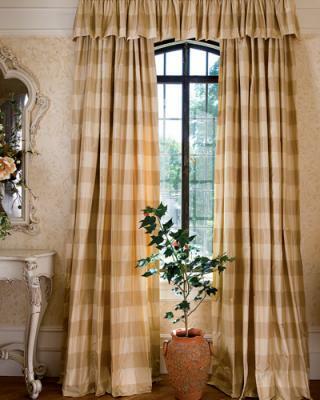 4) Homeowner attempted to clean the drapes unprofessionally also to save money (a.k.a. in the laundry machine) and they did, in fact, shrink. 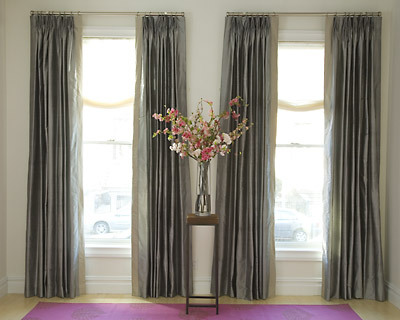 A traditional style, breaking an inch at the floor for a graceful drape. 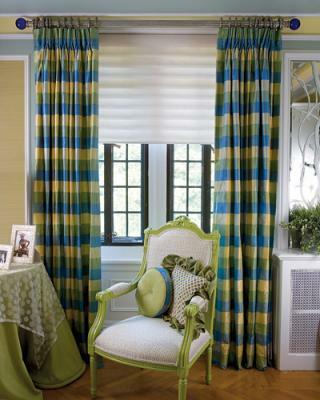 This traditional meets contemporary style window treatment just skims the floor. 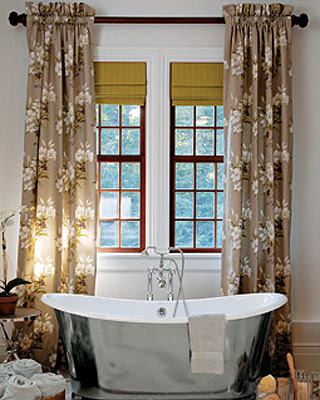 These silk panels give a contemporary look hung 1/4 above the floor. Puddle lengths give a romantic, lush, and glamorous look with at least 2 extra inches of fabric on the floor. 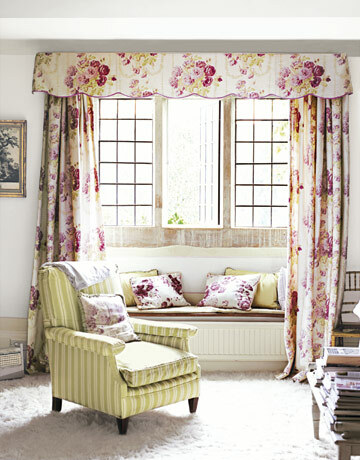 So the perfect window treatment length depends on the style you are going for...but never more than a 1/4 above the floor! Heaven forbid!! I'm almost complete with our bedroom curtains and then I can show them to the world! so glad i read this! i need to get some curtains for the new pad and i had zero idea of this rule. i'm sure E would have told me i'm pretty clueless about house stuff. i may invest in your help with my new pad.